Starter Kit includes: Sky pack for all twelve months plus center medallion. 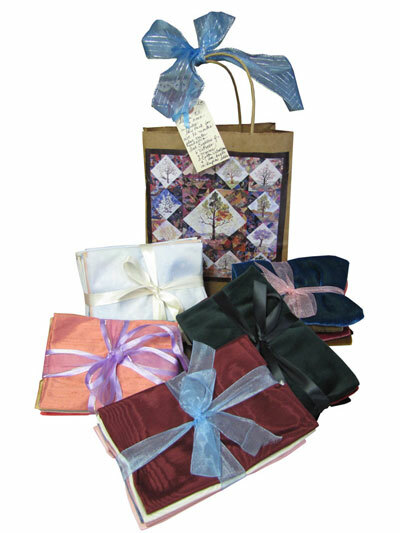 Fat Eighths of: *6 - velvets *6 - moires *3 - cotton velveteens and *12 - dupioni silks. Does not include Calendar or patterns - sold separately.